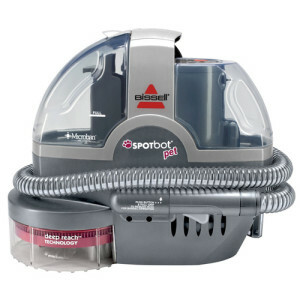 On this page we compare carpet cleaner brands and offer advice about each brand’s best rated carpet cleaner machine for use within the home. 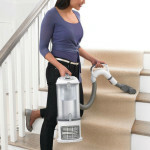 For home use the top brands include Hoover, Bissell, Dirt Devil, and Rug Doctor. 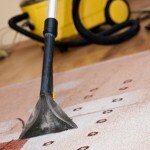 Buying a carpet cleaner for the home has its advantages but it also has its disadvantages. One disadvantage is consumers expecting the same results from a $150 machine as a person would get from a professional clean. The closest brand we have found whose carpet cleaner can perform like a professional type is the Rug Doctor, but it can be on the expensive side. Bissell also now offers a commercial grade option. However, the cheaper models from brands like Bissell and Hoover certainly do have their place for most homes. For those that have only need for relatively standard cleans, they are a good and affordable option. Rug Doctor even has started a more affordable option that is priced in the mid-$200s. Lets take a more in-depth look at the best carpet cleaner brands, the results that consumers report and what a buyer can expect to pay for a machine from each brand. When a consumer is looking to compare carpet cleaners to get a professional clean the Rug Doctor stands out above the rest. The Rug Doctor Mighty Pro machines do have their disadvantages, with the main one being the cost. While the standard retail price is about $600, you can often find them now on Amazon for just over $400. The cost is fine for a user that will deep clean their whole home at least once a year, but for the average home owner the cost of using a professional, renting a machine or buying one of the cheaper carpet cleaners could be the better option. To find out more about this carpet cleaner machine we have a full review here on Rug Doctor Carpet Cleaners. 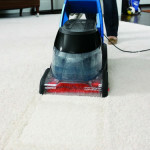 Hoover is one of the leaders in the business of selling home carpet cleaners that are affordable. Although they will not deep clean a carpet the same as the above mentioned Rug Doctor, many consumers have been more than satisfied with their purchase. 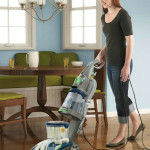 A buyer can compare carpet cleaners made by Hoover from a large range, priced from around $130 to over $300. The best seller at Amazon and one of the cheapest models is the Hoover Power Scrub Deluxe Carpet Washer, FH50150. 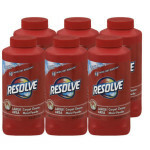 This cleaner has over 2000 consumer reviews which you can view here . 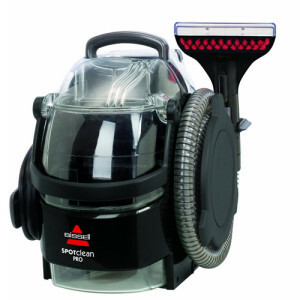 To find out more about the Power Scrub Deluxe and Hoover’s other popular options, including the Steamvac, check out our Hoover Carpet Cleaners page. Bissell is Hoover’s biggest competitor in home carpet cleaners. They have a large range of products similar to Hoover; however, Bissell also has a great line of hand held portable carpet cleaners for spot cleaning and stains. 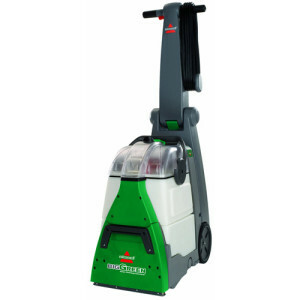 In addition, Bissell offers another powerful cleaner that Hoover can’t match as of yet, the Bissell Big Green Deep Cleaning Machine Professional Grade Carpet Cleaner, 86T3. 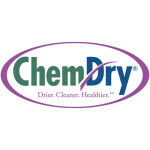 This is a heavy duty professional cleaner, the closest on par with the Rug Doctor that exists on the market. 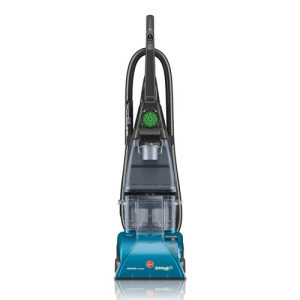 It’s worth taking a look at the Bissell Big Green Cleaning Machine’s outstanding reviews from customers at Amazon here if you’re considering a professional model and have the willingness to spend up to $400. To read about more of Bissell’s best sellers read our Bissell Carpet Cleaners page, which will give you an idea of their functions and help you further compare carpet cleaners made by the company. They are priced from under $100 to $300. 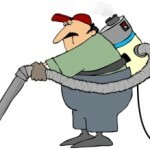 Dirt Devil is a company well known in households for their vacuums. They do sell a small amount of home carpet cleaners, but they are limited in comparison to Bissell and Hoover. 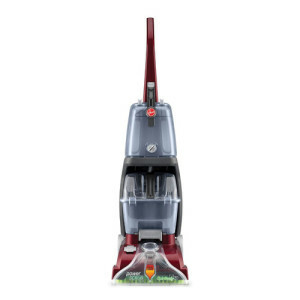 They have about 3 models around the same price range as Hoover and Bissell, however, we feel based on consumer reviews that a buyer would do better with a Bissell or Hoover. You may take a look at our Dirt Devil Carpet Cleaner page here, if you wish to compare carpet cleaners from Dirt Devil with the other companies mentioned above. 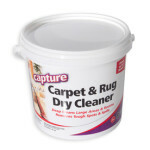 Above are the best carpet cleaner brands for home owners looking to compare carpet cleaners. If a consumer wants a professional clean and is willing to pay more money for a carpet cleaner machine than most households, then the Rug Doctor or the Bissell Big Green Deep Cleaning Machine are the cleaners to consider. If you are looking to save money on carpet cleaning costs but willing to spend between $130 – $300 then we would advise you to take a look at a more standard Bissell or Hoover. However, some models are better than others, and you can view our more detailed brand pages for more comparison information. Note: Before choosing any home carpet cleaner, take a look at professional reviews and consumer reports to make sure it has performed well for others. 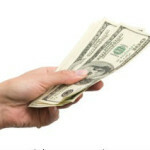 This will benefit you immensely and at the end of the day will help you save money as well.